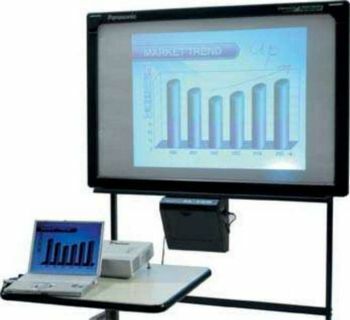 Standard Electronic Whiteboard - allows you to print meeting notes straight from the whiteboard. Interactive Board - lets you control your PC from the whiteboard by simply touching the surface.Can be used in combination with a projector and features Handwriting Recognition Software. Colour Copyboard - allows you to save your workings to a memory card and then print, edit and email in colour. Executive Board - features a brushed silver frame for added style. All boards can be wall mountable or supplied with a mobile stand.